By now we're all likely familiar with Coachella, Bonnaroo and Lollapalooza, the giants in the U.S. music festival scene that bring to mind images of massive, sweaty crowds, multiple stages and celebrities snapping selfies. Far fewer people however, are likely familiar with the Moontower Music Festival, Rockin' on the River, or perhaps the Crown Summer Series. These are just some of the growing number of under the radar festivals that offer a refreshing alternative for music lovers in search of what such events used to be - simple, unpretentious, down home gatherings based on good music provided by either local artists or performers who are still up and coming. (Unlike the Coachellas of the world, which seem to have morphed from somewhat unique music gatherings into glitzy, see and be seen events for perfectly styled celebrities, supermodels, rich kids and jetsetters). If you don't fit into any of those categories, the good news is there's plenty of options these days, offerings that specialize in a more laid back or family-friendly vibe, while still presenting a solid musical experience. Some are new kids on the block, while others have been around for a handful of years, but what they all have in common is that desire to offer a decidedly humbler alterative. So for those wanting to skip the mega-festival scene, here's a look at five worthwhile options. You may have missed some of them this year, but pencil them in for 2017. Now in its third year, this alternative music festival, is all about local and being family (and dog) friendly. "This is a grass roots, homegrown festival," say Kaelyn Query, Moontower Music Festival's founder and president. "We didn't have a single sponsor our first year and we had the festival at a small vineyard outside of Lexington with one stage and just eight bands." Despite such humble beginnings, more than 1,000 people showed up the first year. The second year, the crowd grew to about 3,700, and the organizers expanded the event to include two stages and 18 bands. This year, about 4,000 tickets have already sold for the August 27 festival, which will still have just two stages. The musicians slated to play include such alternative acts as Manchester Orchestra, Drive-by Truckers and Trombone Shorty & Orleans Avenue, among others. While it's popularity and attendance is growing year after year, Query says the focus remains on creating an easygoing, primarily local, music event. All of the event's food trucks, artisans and alcohol vendors are from Kentucky, as are many of the bands featured. "A lot of folks want to come to a festival like this," Query says. 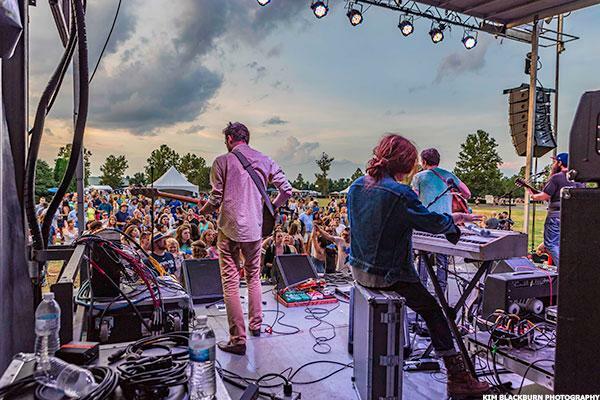 "They like that our prices are lower then most festivals and that it's family and dog friendly...This festival is really about showcasing things we're doing here in Kentucky." This free, weekly event combines music with a popular local pastime - tubing. Started in 2011, the Rockin' on the River festival features musicians on a stage situated directly on the Trinity River. The audience meanwhile, floats on the river in front of the stage in their tubes, with cold drinks in hand, according to Executive Director J.D. Granger. "We wanted to do something unique, so that people would start embracing the river," Granger says of the unusual music event's beginnings. 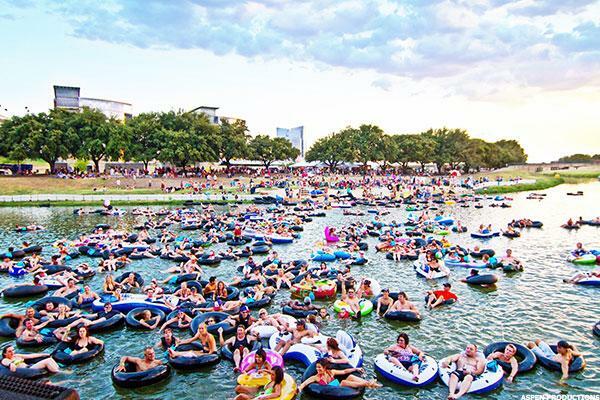 "For us when you think about Texas...people love to go tubing on the Guadalupe, they love to go to the lake....and the everyday man's watercraft is the tube. We thought, we are a laid-back, easygoing community so let's embrace that." The first concert was attended by only about 40 people, says Granger. That figure has since grown to about 2,500 attendees for the music event, which is held once a week, from mid-June through mid-August. As for the music, Granger describes it as Texas country. The headliners this season include Zane Williams, Parker McCollum, Midnight River Choir and Dirty River Boys, among others. 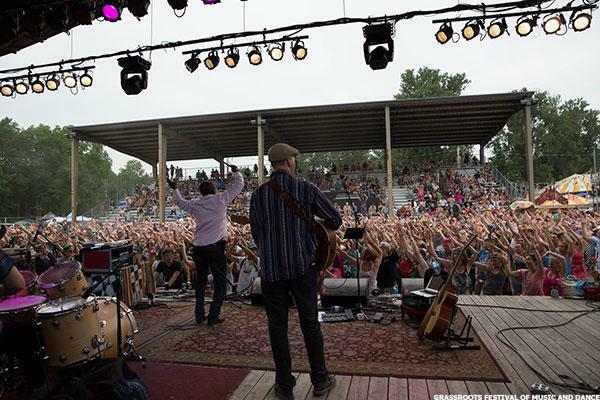 Perhaps the largest and most well-established on this list, the Finger Lakes Grassroots Festival lineup includes more than 80 bands over four days. What's more those musicians come from around the world. But with all of that said, organizers of this event remain laser focused on their mission. "I think one of the things Grassroots has always put an emphasis on is the combination of finding a global influence of musicians, and having a local atmosphere," says Director of Development & Marketing, Katie Foley. "We've gotten a lot of great feedback from longtime festival goers who say that we've introduced them to music in a way that really inspired them." "We really focus on a family feel in terms of the ambience and culture," Foley adds. That effort includes always offering a children's area where kids can make crafts, enjoy performances and play games. The festival also consistently includes partnerships with non-profit organizations that set-up booths onsite during the event. Yoga classes and local vendors round out the Grassroots Festival experience. Run by a non-profit organization, the overall mission is to bring music education and arts to the community, with a focus on traditional and contemporary roots music. Some of this year's bands include Donna the Buffalo, Indigo Girls, Ricky Skags and Kentucky Thunder Silversun Pickups. Held in July at the Trumansburg Fairgrounds, about ten miles north of Ithaca, the event is, organizers say, a way of giving back to the town. "We purposely tried to shy away from the glitz and glam," says Foley. "We don't align ourselves with Budweiser or any really large corporate sponsors, or the Bonnaroos or Coachellas. That's not really our vibe or what we go for." One word - Montana. Settings for music festivals don't get much more pastoral and attractive than that. This festival is in its first year. 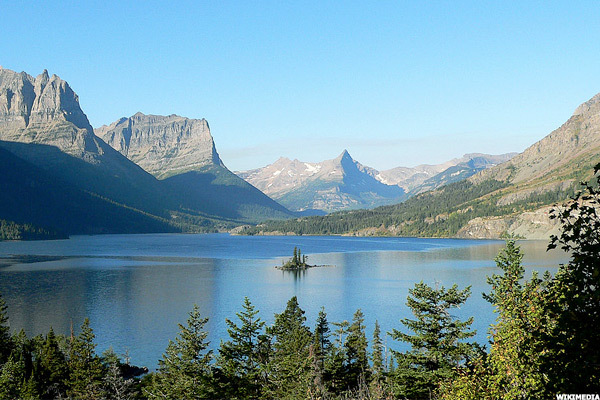 It offers one-day events in both July and August, at a racetrack just outside Glacier National Park (making it a great two for one - visit a stunning national park and take in some great music before, or afterwards). The Crown Summer Series was started, in many ways, because the burgeoning music scene at a local bar, Casey's, was simply outgrowing its space. "Casey's has a capacity of 450 people," explains organizer Keith Lederman. "Over the last few years we've been able to bring in quite a few artists, that northwest Montana is not used to seeing. We're kind of off the tour route for most artists. But we wanted to be able to do something bigger and having a capacity of 450 people limited us on what we were able to afford and bring in." The lineup, meanwhile is focused on DJ and hip-hop music. July performers include Amtrac and The Pharcyde. August headliners include Ghostland Observatory and MSTRKRFT. Just a few hundred tickets have sold to date, making this an ideal choice for those seeking a music festival that's a true up and comer. The event was just announced a few months ago. One last charming and noteworthy part of this new festival - attendees can stay overnight in a green pasture just behind the festival grounds for a mere $20. "This is something really exciting for Montana," says Lederman. "There hasn't been anything else like this. And especially in summertime out here, with a beautiful mountain backdrop."